The Arsenal Players Have Let Down Arsene Wenger Big Time! I have started writing a post about Arsene Wenger’s departure from the club but that is still in progress and might take another day or two as I want to make sure it is fitting enough for a man who dedicated his life to the club and represents how I truly feel. What I will say is that I can’t actually believe it has happened. Not finally happened, but happened. I fully expected him to fulfil his contract and be here next season – and then I thought he would possibly leave. But todays news is massive. I can’t believe this has happened. I’ve supported Arsenal since 1988 so have only ever known two (great) Arsenal managers. It is a massive surprise this has happened now and I’m not going to say anything negative as he has done so much for the club. And I sincerely hope that’s how he will be remembered from now until the end of the season. All the best, boss. But The Guardian has posted an article on their website revealing that Arsene Wenger’s main motivation for announcing his departure today is because he thought there was a real threat that he might be sacked at the end of the season, so he ultimately decided that it was better to leave of his own accord rather than be pushed out the door. And whose fault is that? 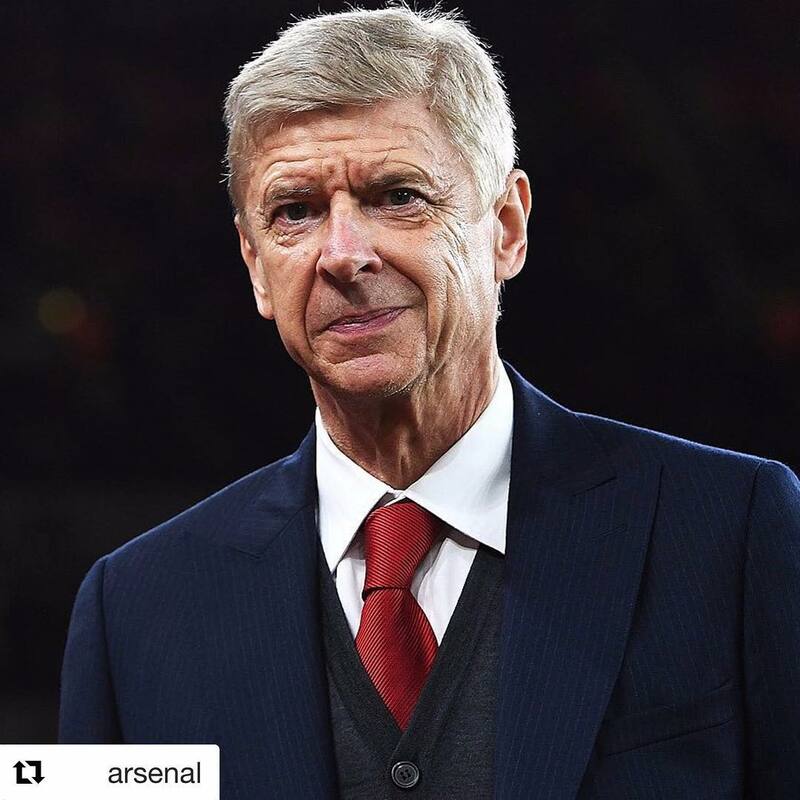 As Arsenal fans pay tribute to Arsene Wenger Day, celebrated with the hashtag #MerciArsene, it’s great to see fans, managers, former players and current players give loving messages to a man who wholly deserves them. However, in all of this, the thing which is niggling me is the messages from current players. Most of the current playing squad are paying tribute to a man they either don’t respect or don’t like, and are posting messages just for the likes. It’s a disgrace and quite frankly all a big joke. You profess your respect, admiration and love for a man who you couldn’t be arsed even trying for over the last 7 months? And you could say much longer for certain other players. It just speaks of hypocrisy especially when you consider these messages are from people who have effectively got Arsene Wenger sacked. Personally, it is an extremely sad day for me and I am really upset. Yes I knew this day would come but I’ve supported Arsenal since 1988 and only ever known two (great) managers. Arsene Wenger is a constant in an ever changing football world and he has dedicated his life to Arsenal. It would always be a sad day when Arsene Wenger left the club and even though most of us thought it was about the right time, I don’t think any of us thought it would happen quite as soon as this. This entry was posted in Arsenal News, Arsene Wenger, NewsNow by Mike | afc4life.co.uk. Bookmark the permalink.